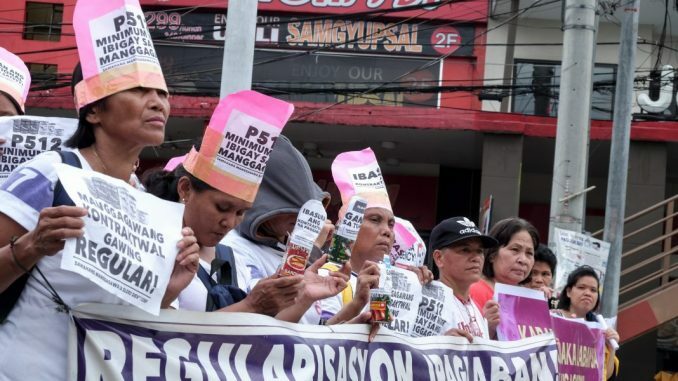 Laid-off casual workers of Slord Development Corporation, manufacturer of Uni-Pak sardines, held a lightning protest at Gate 7 of Malacañang Palace in Manila earlier today. Members of Samahang Manggagawa sa Slord Development Corporation (SMSDC) managed to get past the security personnel of the Presidential Palace to pressure President Duterte and the Department of Labor and Employment into deciding on the case workers filed against Slord. The workers registered their long-standing call to a just increase in wages, legal action against illegal working conditions, and an end to contractualization. Mostly composed of women ‘regular extra’ employees, Slord workers were terminated on May 12 following a walkout protest they organized to slam the reduced number of work days the company allowed. They did not receive any official document stating their termination. The SMSDC had been mounting a protest camp on June 18 at the gate of the Navotas Fishport Complex before moving their camp to Mendiola days before Duterte’s third State of the Nation Address. 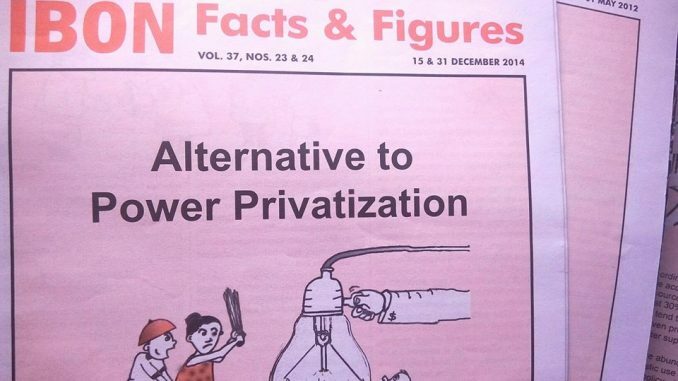 They are joining workers from Jollibee Foods Corporation, Philippine Long Distance Telephone Company (PLDT), and others who are also engaged in their respective legal and political battles. 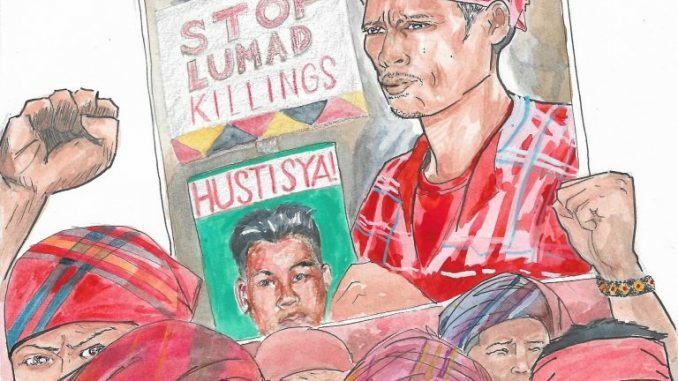 The protest camp, dubbed the Kampuhan Kontra Kontraktwalisasyon (KKK), will go on for a week until Duterte’s SONA on July 23. SLORD Development Workers at the Kampuhan Kontra Kontraktwalisasyon (KKK) launch after the lightning rally in Malacañang. Photos by Erika Cruz. “Tama na, sobra na ang pang-aapi sa amin ng mga negosyanteng ganid sa tubo,” SMSDC president Norinda Nacinopa said. The workers challenged the president to assume the role of the “nation’s father” and to address the root causes of poverty. 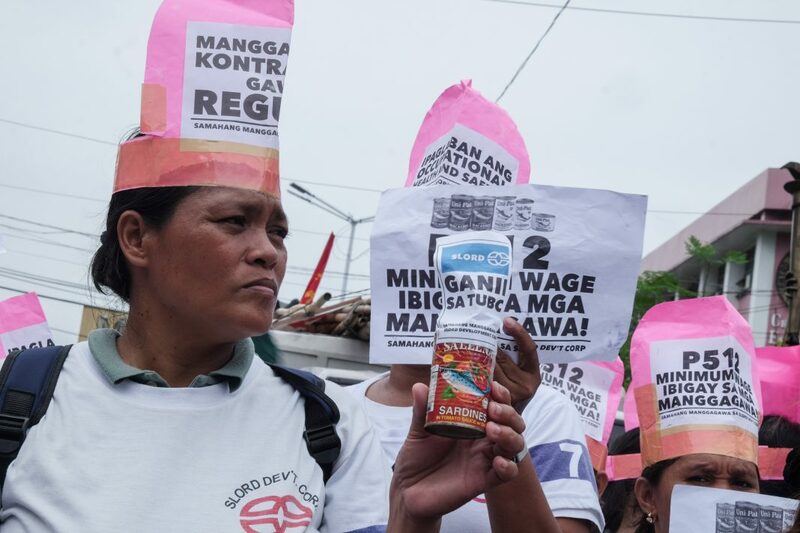 The post Makers of UniPak sardines hold rally at Malacañang gate appeared first on Manila Today.